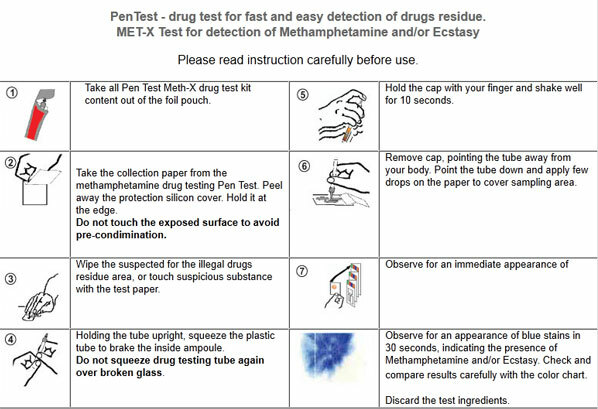 METH-X – a single drug test kit for the detection and identification of Methamphetamines on multiple surfaces. This is the test to determine if your house was used as a Meth Lab. This test can also be used to test a suspicious substance (powder, residue, etc) to see if it is methamphetamine, ecstasy, etc.